Never miss a new episode of Lightbulb Moment! Sign up for the weekly newsletter and you’ll also learn behind-the-scenes stories and get bonus tips not shared in the episodes. Shenee Howard has been a brand strategist since 2011. Soon, she found herself coasting in her business. She was charging less than what she should, trying to be everything to everyone, and frequently breaking down because she couldn’t have what she wanted. Finally, a breakthrough! She realized she needed to start following the advice she gave her clients—niche down and charge what you’re worth. Shenee was no longer willing to be exhausted by doing too much for too many people. No more was she willing to play small. 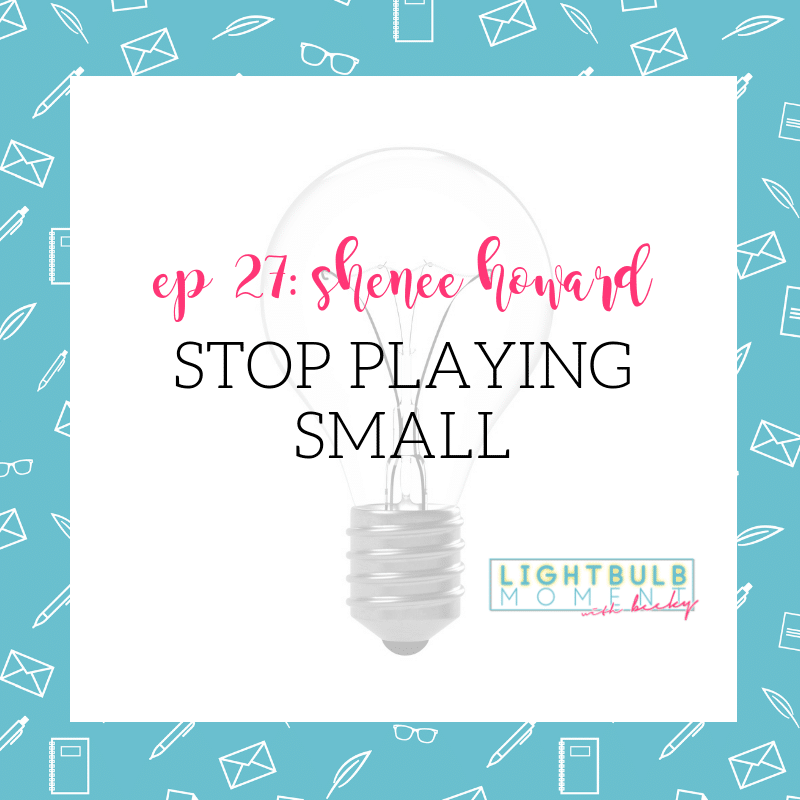 Shenee Howard is a brand strategist and writer who helps entrepreneurs name and explain what they do so they can profit. Tired of struggling with self-doubt, imposter syndrome, comparison-itis, or other negative thoughts? Learn my five-step process for changing your mindset. I’m a mindset coach with a practical approach to personal and professional development. I help women-identified business owners clear the mental hurdles that keep them stuck, get clarity about their mission and offering, and map out a plan to level up.